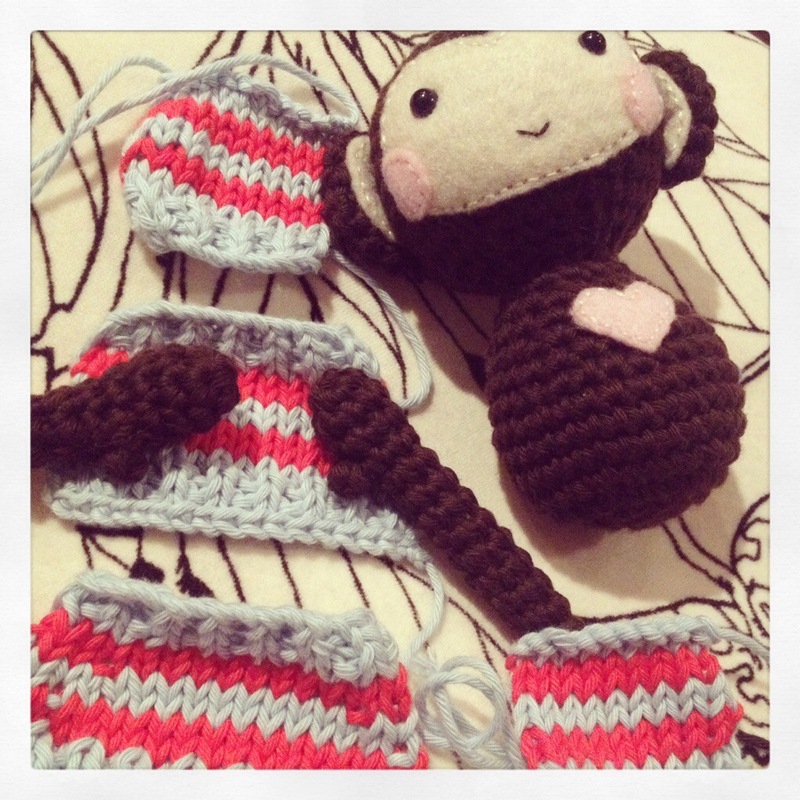 My crochet seems to have slowed down a lot lately, mostly because I’ve been so busy with work. Late nights of trying to get crochet projects finished have been replaced by early nights in bed with a book. But hopefully things are settling down again now so I should have a bit more in the way of crochet time. Just as well, as I still have a few commissions outstanding. 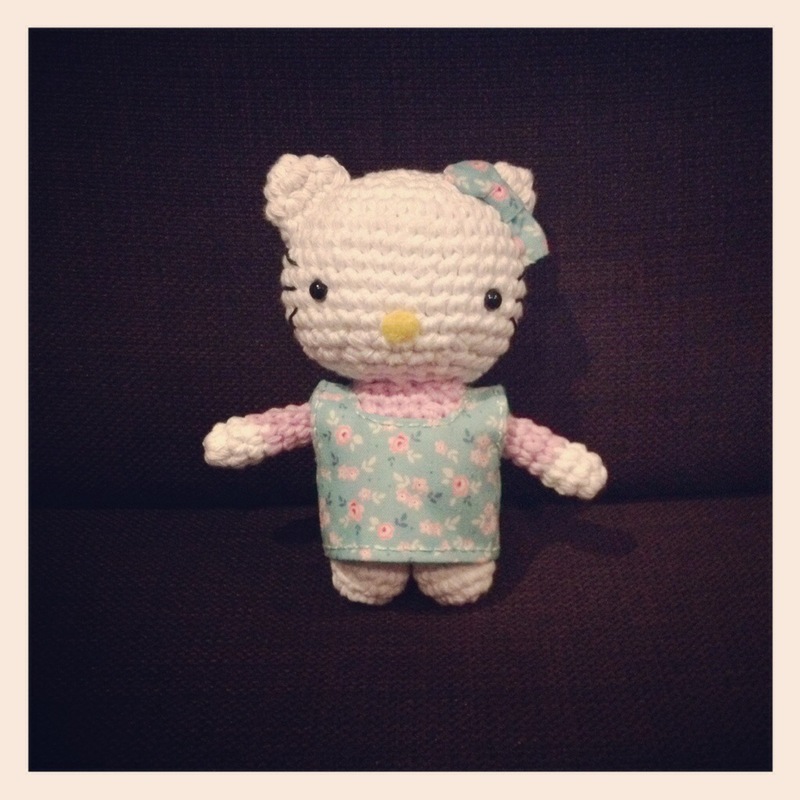 Speaking of commissions, I’ve just finished Hello Kitty. It has been a bit of a tricky one, largely because I seem to get super-perfectionist when trying to recreate a well known character (remember how long it took me to get the Gruffalo right?). This little kitty was originally going to have a crocheted dress, but by the time I’d finished the crocheted dress I’d already decided I didn’t like it. So that went in the bin and she’s got a fabric dress to match her bow. It’s a bit basic, as tiny miniature dresses for Japanese cats go, but it seems to look quite cute. I’d like to get better at creating mini clothes… But we’ll see. 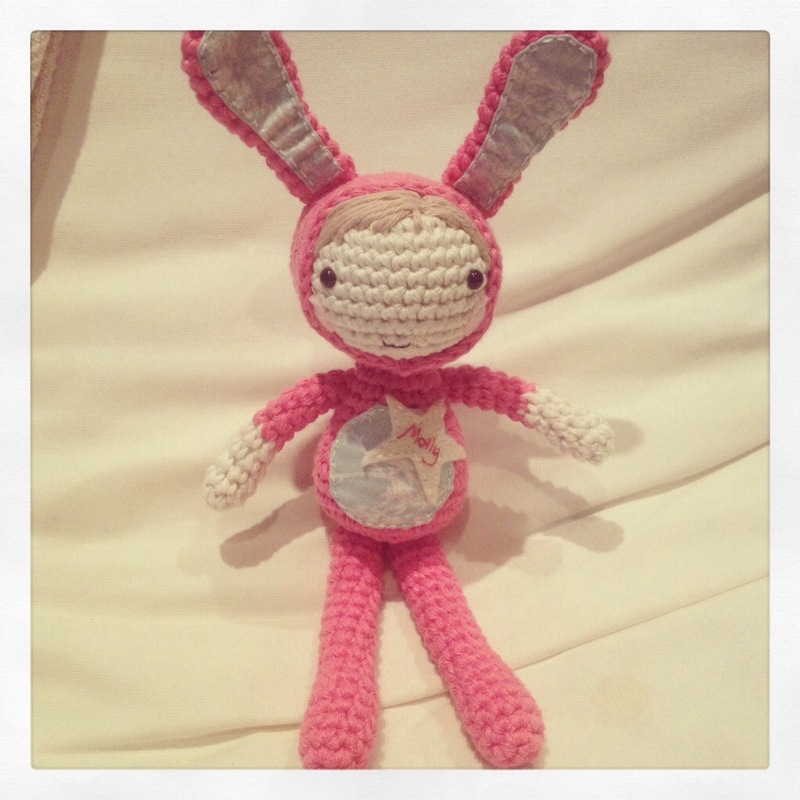 This entry was posted in Crochet and tagged Amigurumi, Crochet, handmade, hello kitty, kawaii on October 26, 2013 by katescrochet. There hasn’t been much time for crochet lately, unfortunately. But I thought I’d post a little update on my latest commission. 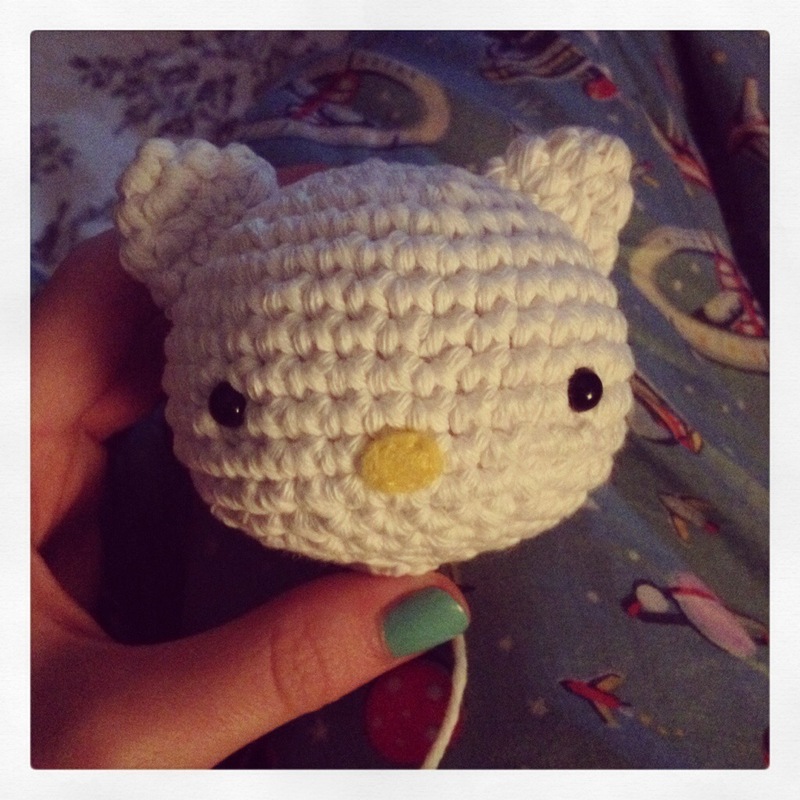 I was asked a while ago to make a Hello Kitty – and I’ve finally got around to starting it. It lends itself well to amigurumi and I’m looking forward to making a cute little dress and of course, her trademark red bow. And yes – those are my space themed pyjamas in the background. Super cool. 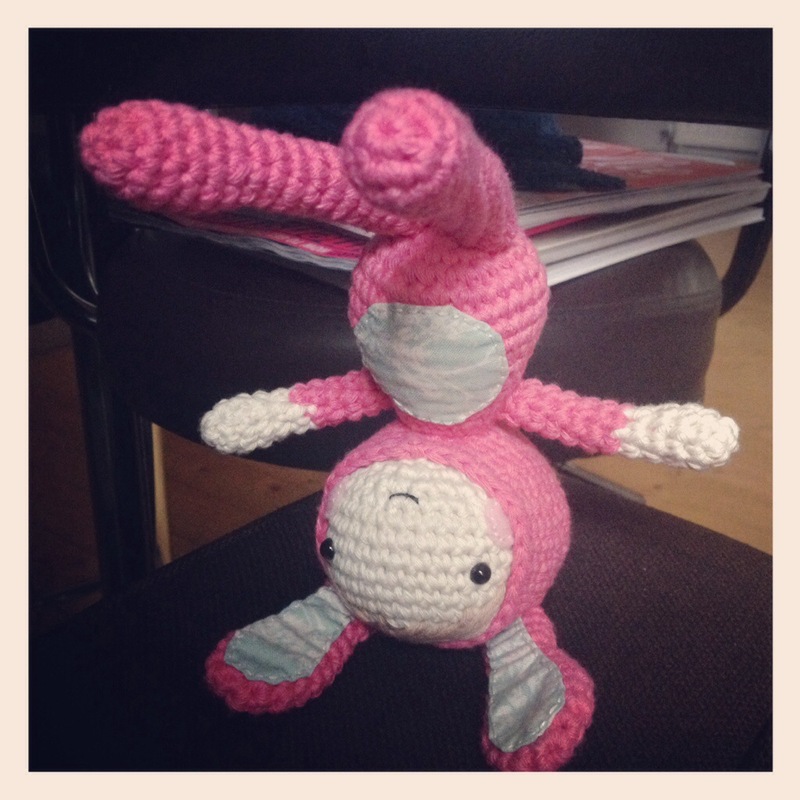 This entry was posted in Uncategorized on October 17, 2013 by katescrochet. 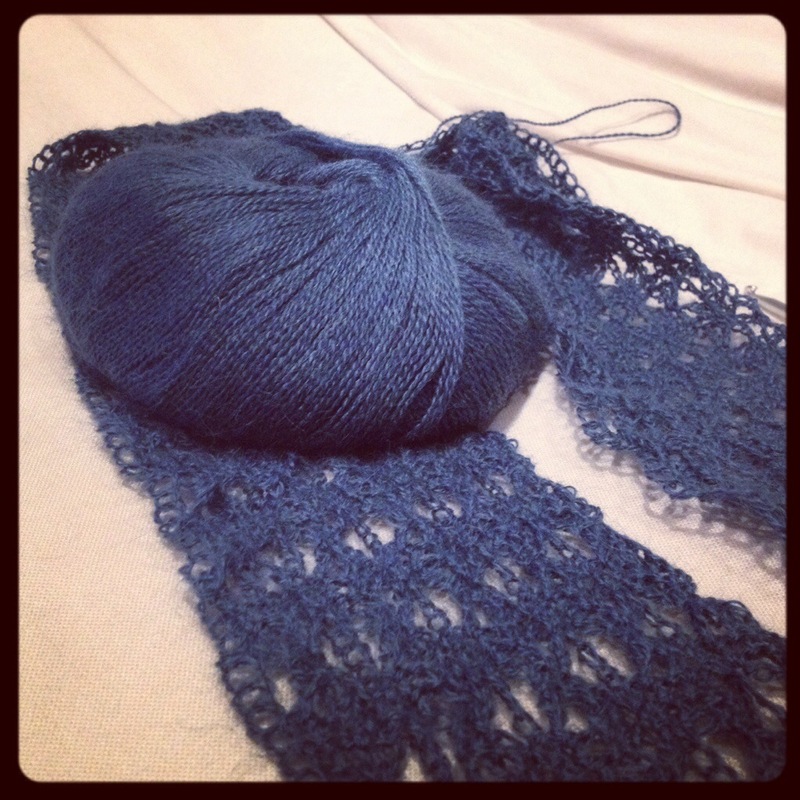 It’s been a good week or so since I last blogged. Work has kept me pretty busy but I also ran my first 10k race and have been quietly getting on with the little toys I’ve been making for my late friend Darren’s niece and nephew. I just put the final touches to them last night, so will be sending them off to their new home very soon. It’s taken me a while but I’m happy with them… and I have a few new commissions to move on to next. 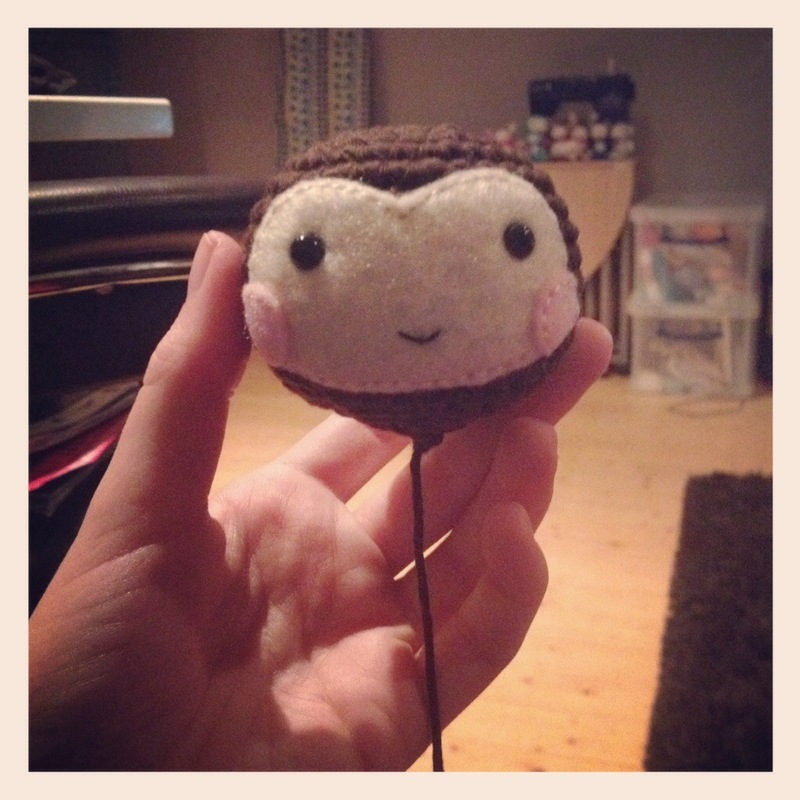 This entry was posted in Uncategorized on October 11, 2013 by katescrochet. If you’ve read my blog before, you’ll know that in August my friend and colleague Darren sadly passed away. 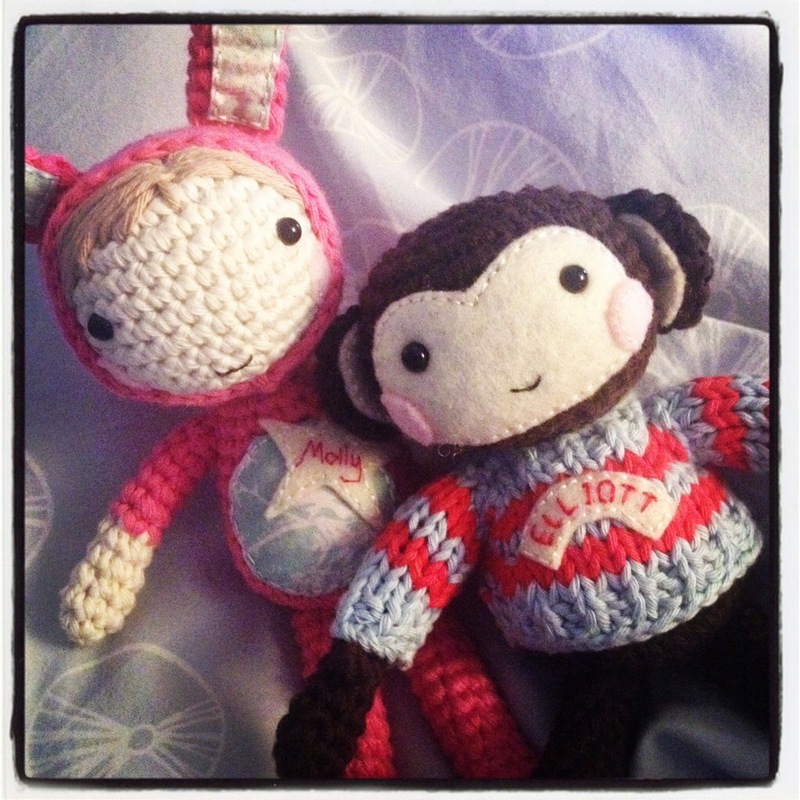 When I first started making my little crochet creatures a few months before he died, he asked me to make some personalised toys for his niece and nephew so that he could give them as Christmas presents. He reminded me about it all the time – and made me write down the spellings of their names so I didn’t get them wrong. Obviously, I wanted to still make them, even though Darren isn’t here to double check my spelling or remind me to do them before I make anything for anyone else! I’ve just finished the first one and both will be going to his family when they’re finished. 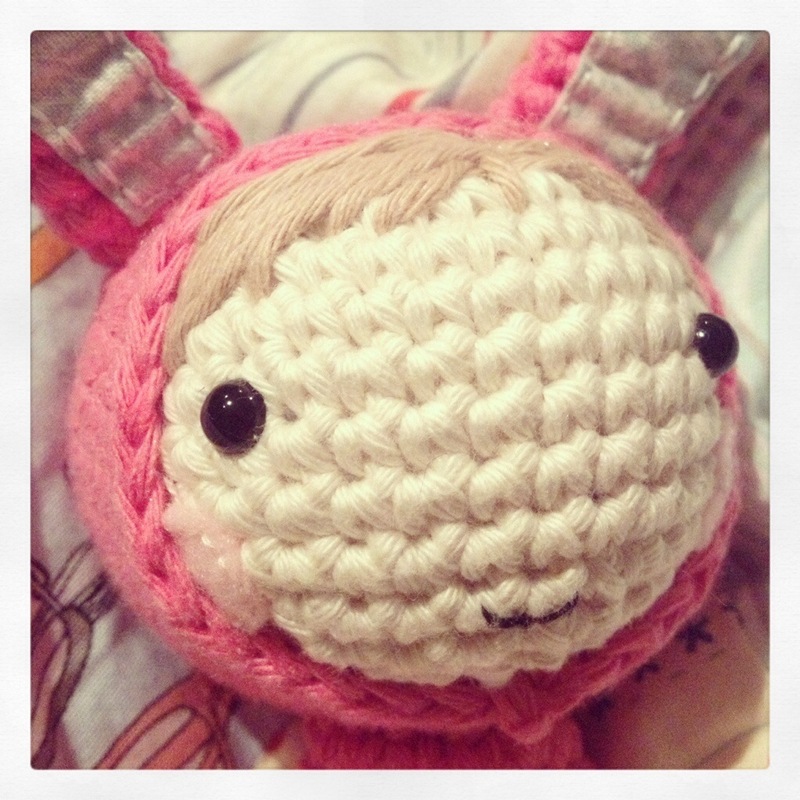 This entry was posted in Uncategorized on October 1, 2013 by katescrochet. 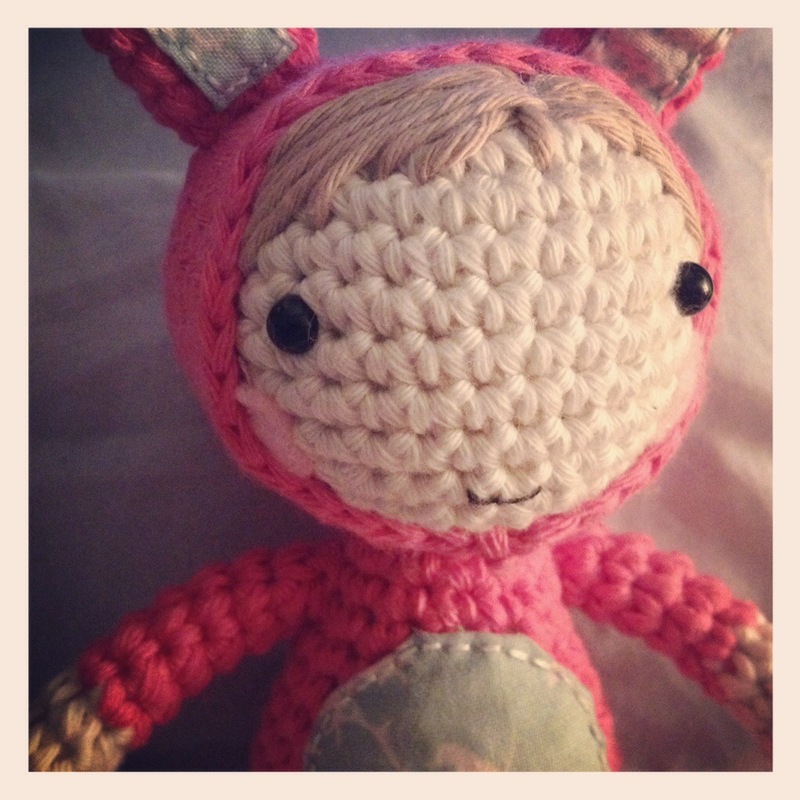 When I first got into crochet, I always did one project at a time, start to finish, before moving on to the next one. I used to wonder how people managed with two, three, four or more projects on the go at once. But now I’ve found out – because I do it myself. There are different types of crochet for different moods, and I’ve got into the habit of having three different makes on the go at once. 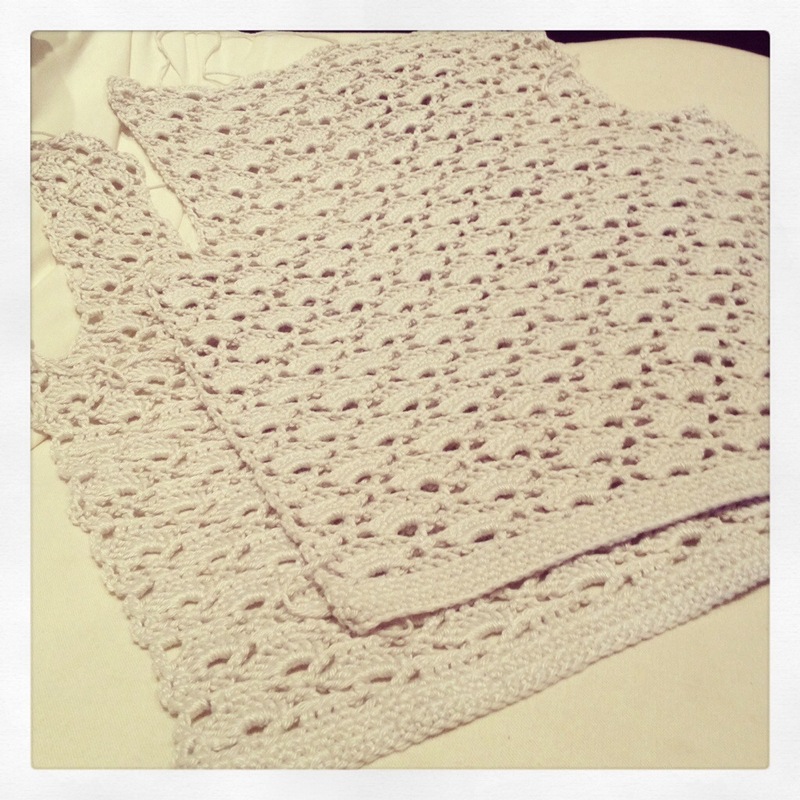 Repetitive and large projects are good for when I’m tired or watching TV or even reading at the same time. 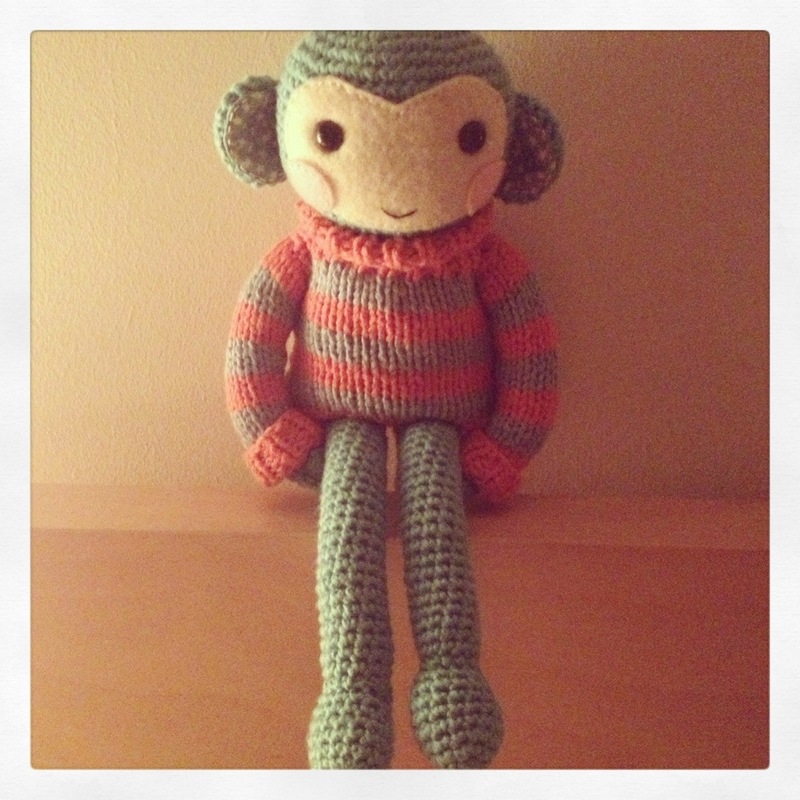 Little amigurumi toys and creatures are good for when I’m concentrating more and feeling imaginative. And then there are in between things too. 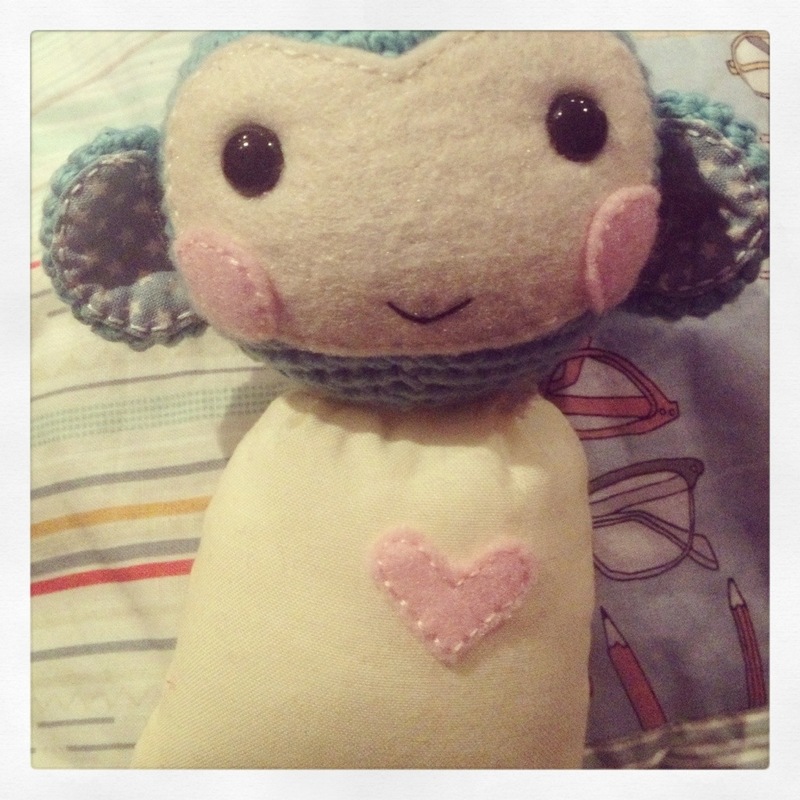 This entry was posted in Uncategorized on September 22, 2013 by katescrochet. Just a quick post tonight ahead of a Sunday in the office tomorrow. There hasn’t been much time for making things this week as work has been super busy, so I’m pleased that I found time today to finish two creations. 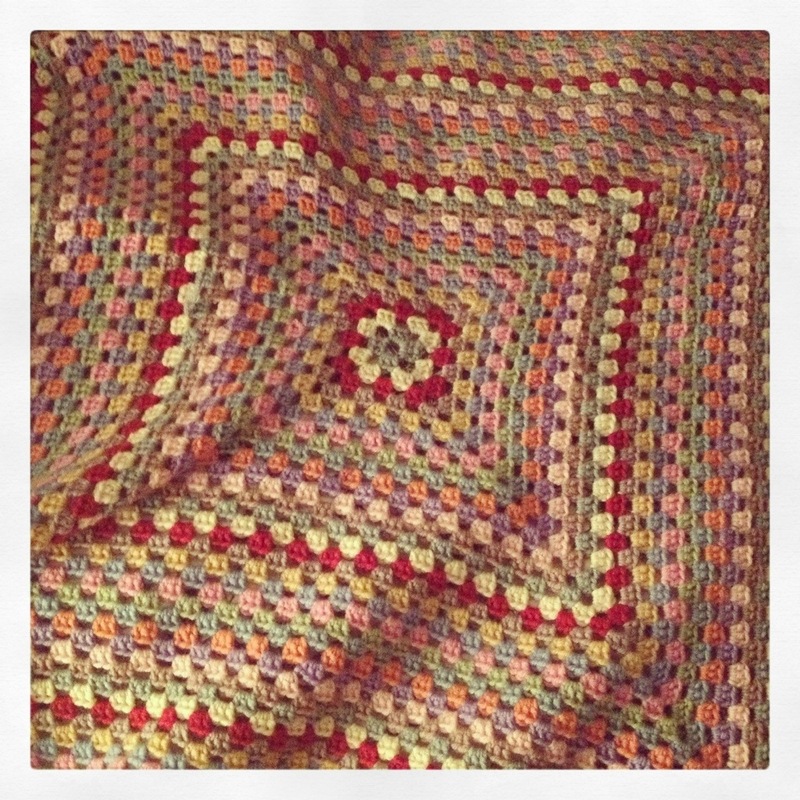 Firstly, the granny square blanket I started when my friend Darren died in August is now finished. It’s been a comforting and relaxing thing to make, and once the ends are weaved in and it’s been blocked, it will be winging its way to his baby nephew Elliott. 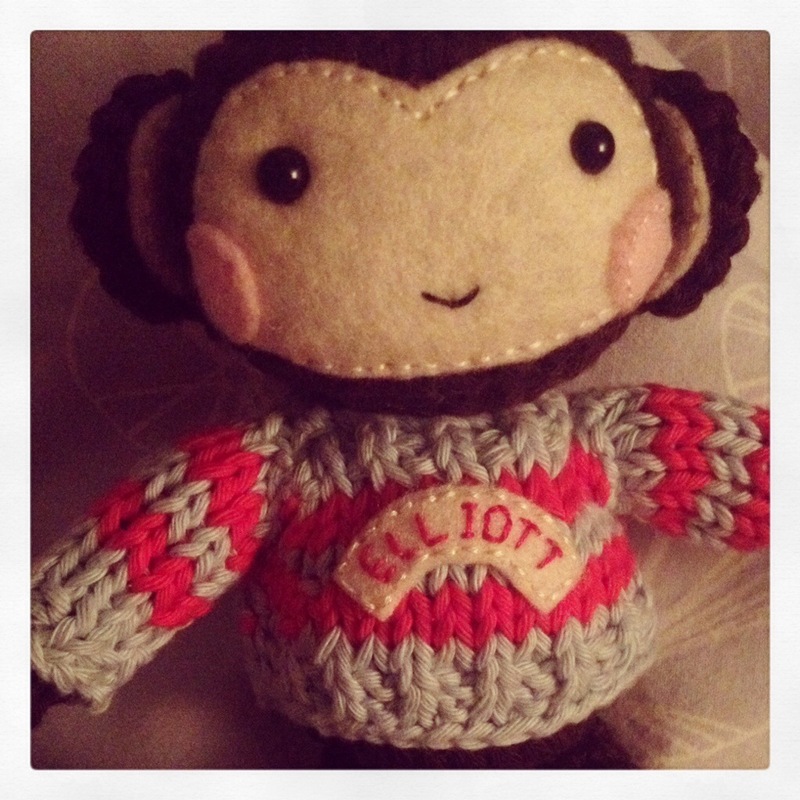 I also finished my chunky monkey in a jumper – which I’m really pleased with. He’s been fun to do – a bit complicated but fun. He now belongs to my other half (who has already had far too much fun bending him into all kinds of entertaining and inappropriate poses). 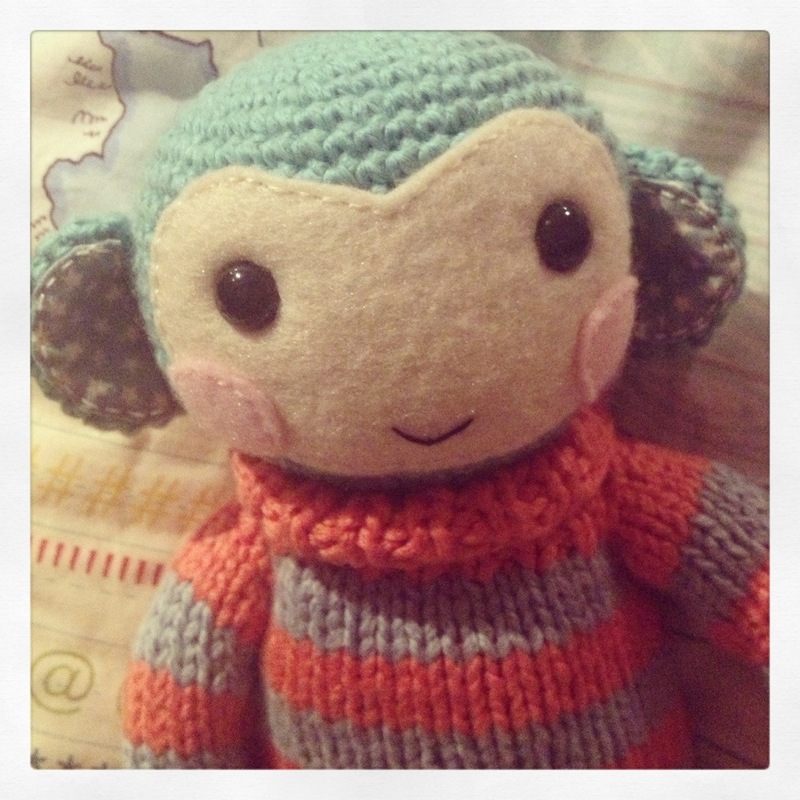 Knitwear may feature in future amigurumi creations of mine – I enjoyed getting the needles out again. 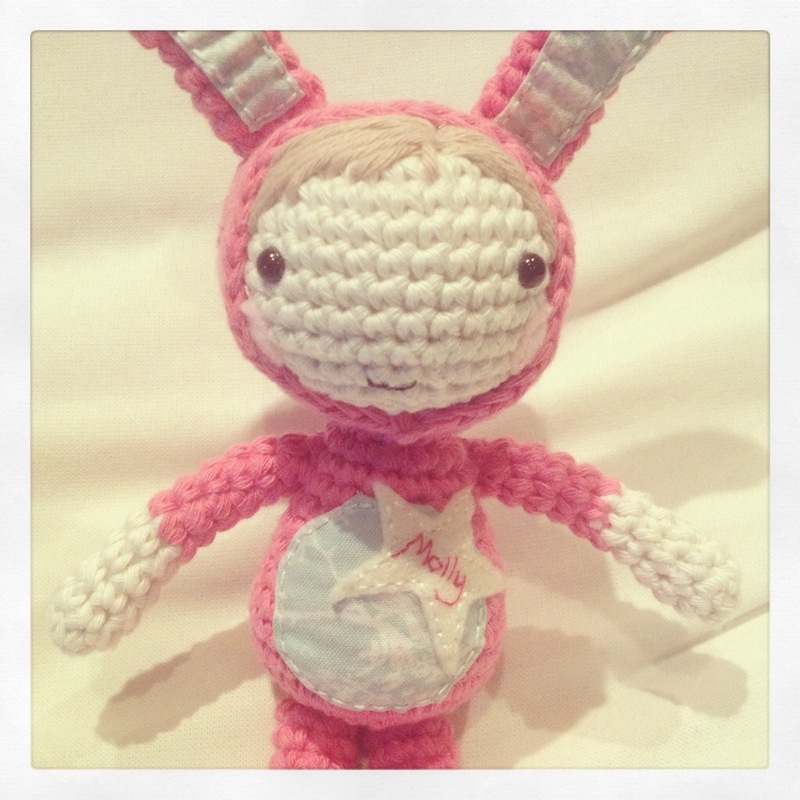 This entry was posted in Crochet and tagged Amigurumi, Crochet, handmade on September 14, 2013 by katescrochet.